DIANE A.S. STUCKART is the New York Times bestselling author of the Black Cat Bookshop Mystery series (written as Ali Brandon). She’s also the author of the award-winning Leonardo da Vinci historical mysteries, as well as several historical romances and numerous short stories. Her upcoming new cozy mystery series are the Tarot Cat Mysteries from Midnight Ink (November 2018 launch) and the Georgia B&B Mysteries from Crooked Lane (May 2019 launch—writing as Anna Gerard). Diane is a member of Mystery Writers of America and has served as the 2018 Chapter President of the MWA Florida chapter. 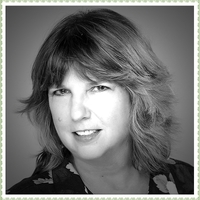 In addition to her mystery writing affiliations, she’s a member of the Cat Writers’ Association and belongs to the Palm Beach County Beekeepers Associa DIANE A.S. STUCKART is the New York Times bestselling author of the Black Cat Bookshop Mystery series (written as Ali Brandon). She’s also the author of the award-winning Leonardo da Vinci historical mysteries, as well as several historical romances and numerous short stories. Her upcoming new cozy mystery series are the Tarot Cat Mysteries from Midnight Ink (November 2018 launch) and the Georgia B&B Mysteries from Crooked Lane (May 2019 launch—writing as Anna Gerard). We’d love your help. Let us know what’s wrong with this preview of Give the Devil His Due by Steve Hockensmith. Let us know what you are excited to read next!